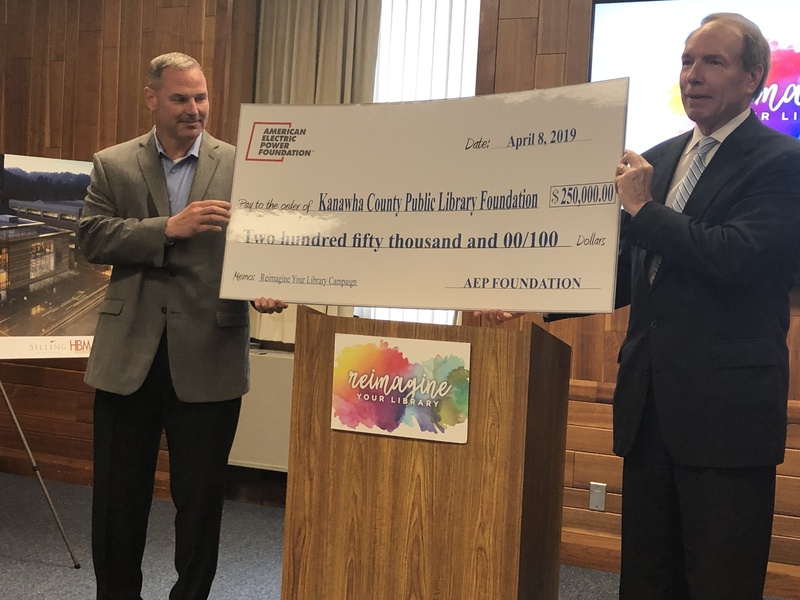 Charleston, WV – The Kanawha County Public Library today has received a major donation from the American Electric Power Foundation. The new $250,000 grant was announced today and is in addition to a previous multi-year $500,000 contribution for the new downtown library project. The total donation by the AEP Foundation is one of the library’s largest to date. The new $250,000 gift, combined with the previous $500,000 donation, will sponsor all of the technology in the Reference Department on the third floor, including all public computers with access to online career and education resources. With the AEP Foundation contribution, the library campaign has raised close to $24 million of the $27 million needed to fund the project. Other large donations that have been made prior to this announcement include: Douglas Family Trust ($1,100,000), The Greater Kanawha Valley Foundation ($1,000,000) and Ray Family Foundation ($525,569). A new proposed third floor Skywalk that connect to the Summers Street Parking Garage. Additional information about the library’s downtown renovation and expansion project can be found at www.ReimagineYourLibrary.com.